 Strawberry Hill is a community in West London on the north bank of the River Thames in the old county of Middlesex. In 1747, Horace Walpole moved to this area, acquiring a house which he developed into his “little gothic Castle”. He named it Strawberry Hill and the immediate area is named after his creation. A good starting point for exploring the rich history of this small area is our History page. 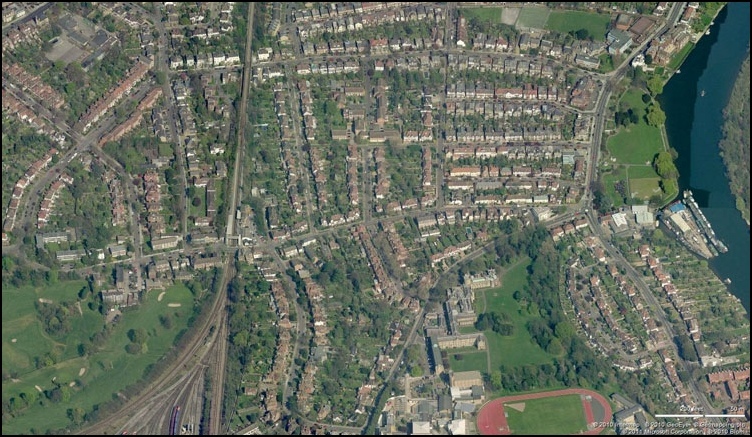 An aerial view of part of Strawberry Hill, showing the station (left), Walpole’s Strawberry Hill House (centre right) with St Mary’s University College in the foreground and Radnor Gardens on the River Thames (top right).